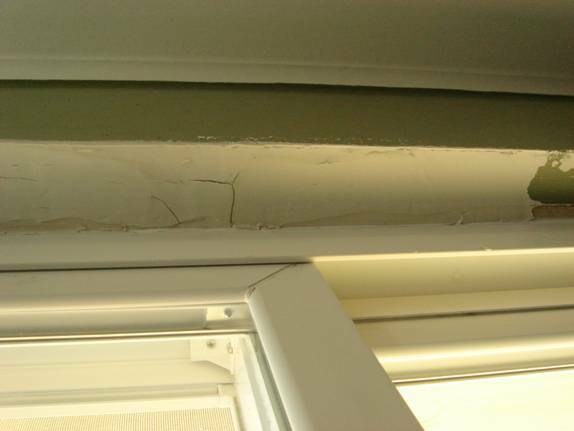 On January 26, 2008, we signed a contract to replace all fo the windows in our home with your top of the line "Weatherbeater" windows (total cost of nearly $22,000), and we were very unsatisfied with the quality of the installation and follow-up. We purchased the new windows for our house because Gary Miller, the salesman, told us that Sears is very committed to excellence. 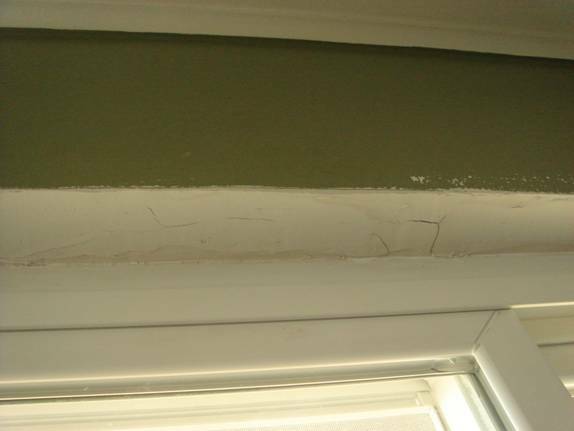 Mr. Miller stated that other installers (like Lowes and Home Depot) contract out their installations to local builders, but Sears does the work themselves so that the highest quality can be obtained. 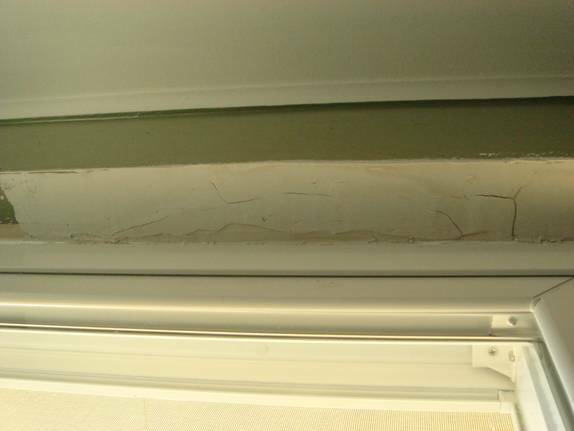 He further promised that stringent cleanliness procedures are followed, including vacuuming window areas both before and after installation. Contractor arrived in an old, unmarked Cadillac with long hair and a t-shirt. This did not agree with what we were told by the salesman. 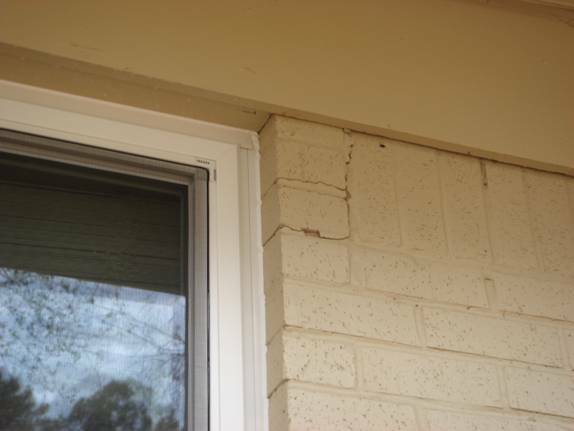 House was damaged, and windows fit poorly. 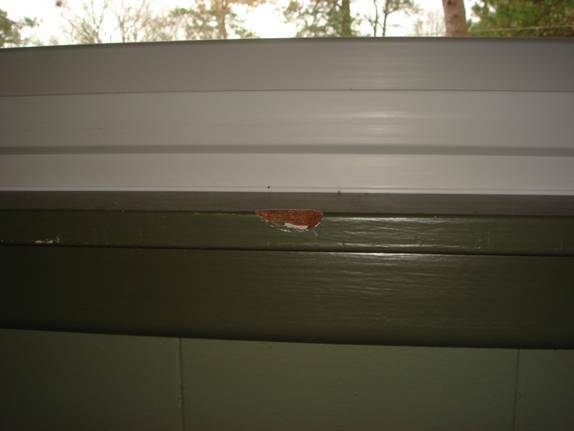 The contractors used sledge hammers to knock out the existing aluminum window frames, and the whole house shook whenever a frame was struck. All of the windows were too small. 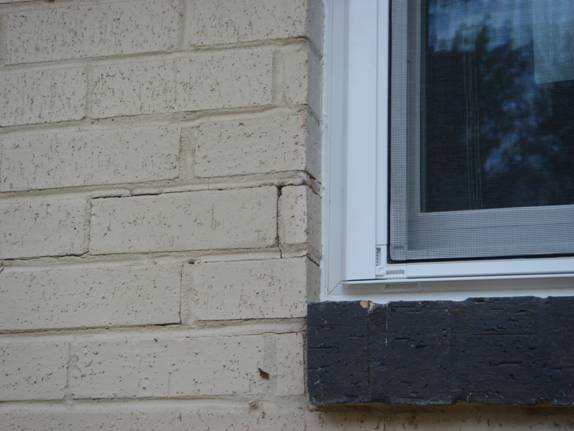 One of the contractors told me they intentionally measured the windows to be 1-inch shorter in both the height and the width so that they would be sure to fit with the spacers they used. 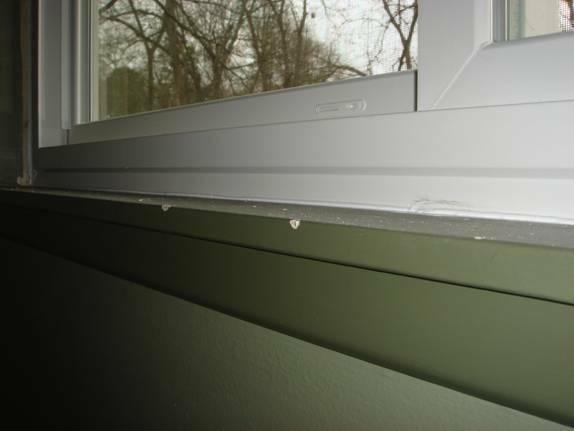 This ultimately results in a smaller window glass openings and less light in the home. 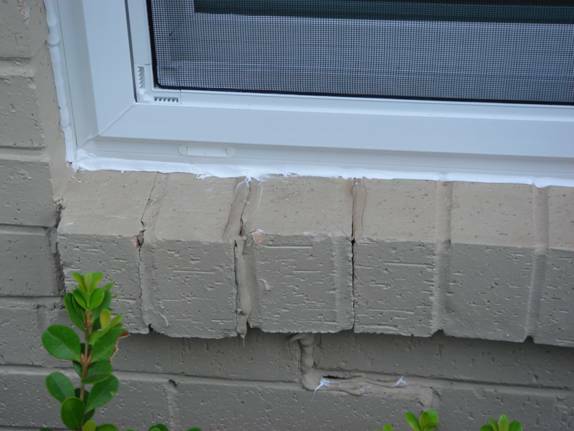 One of the new windows was the wrong size, so they had order a replacement. No information on when they would return. 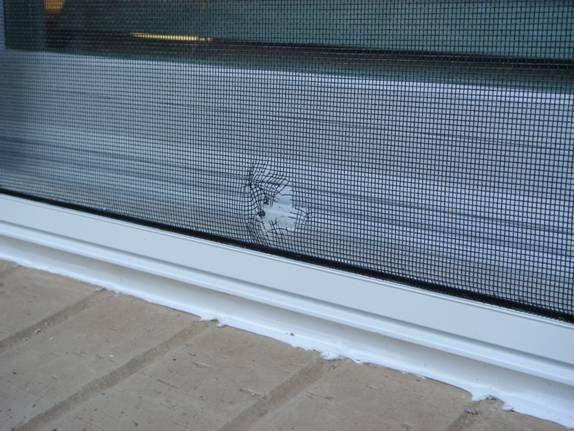 Other windows were damaged during installation, some screens were torn. 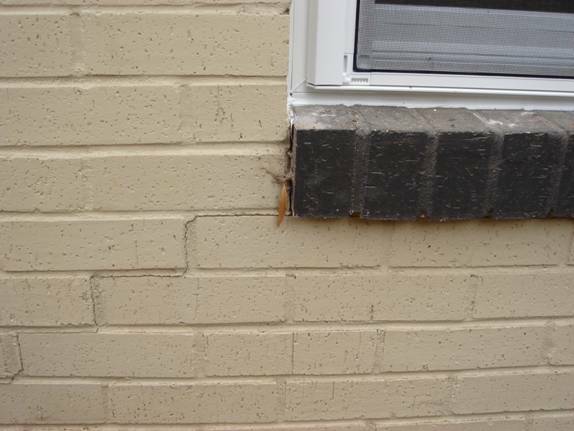 The installers were very hard on our house. 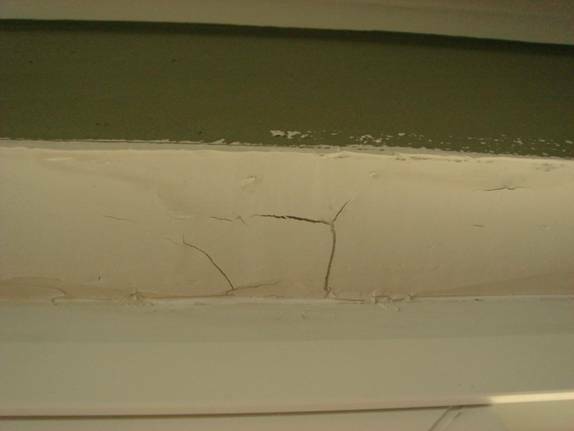 Tiles were cracked in the kitchen; bricks were chipped and mortar was cracked on the outside; nearly every window sill had cuts, gouges and pulled-up or damaged paint; and one window sill had a 4-inch by 10-inch section torn out of the sheetrock in the Master Bedroom which the installers repaired by gluing it back in with white silicone (i.e. 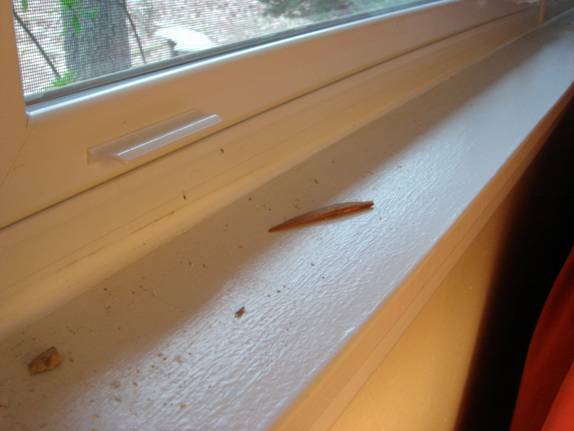 unpaintable window caulk). 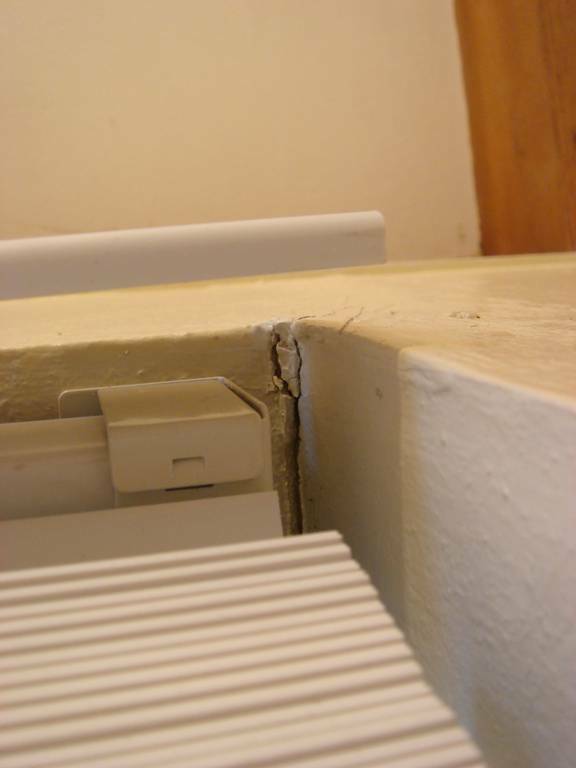 We noticed that while working upstairs the installers became very quiet for about 30 minutes, but they made absolutely no mention of this damage during the installation, and left in an obvious hurry as soon as they were finished. 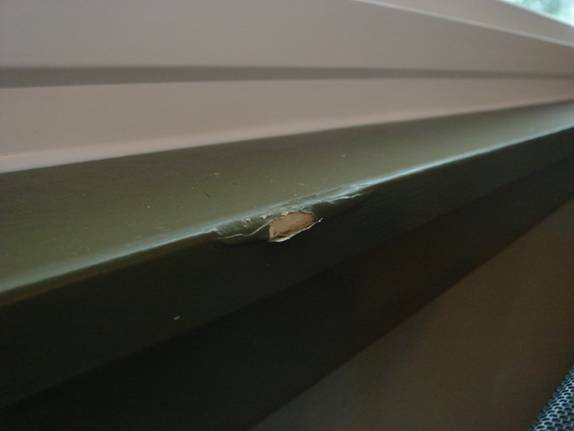 It was dark outside when the installers left, so we were unable to properly inspect for completion and damage before their departure. 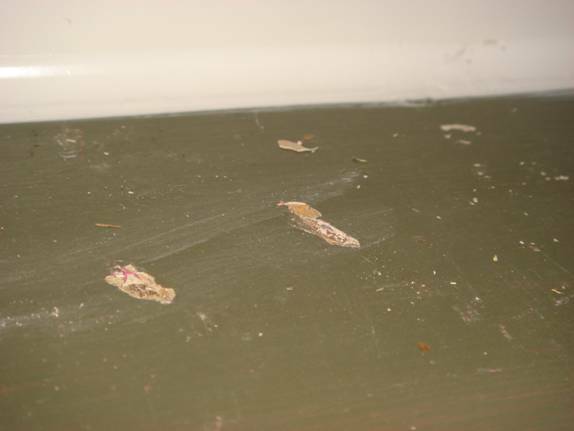 The next morning after the installation, we found broken glass on the floors and BEDS of our house, and wood shavings and chips on the window sills. Aluminum and steel hardware from the old windows, and plastic pop-out bits from the new ones, was left strewn about the yard. 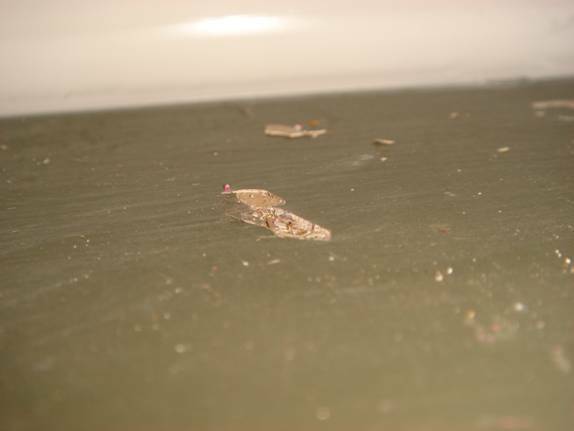 This was not only evidence of poor clean-up after the job, but potentially dangerous items to leave in a yard where they could be picked up and thrown by the lawnmower, provided they did not damage the lawnmower itself. 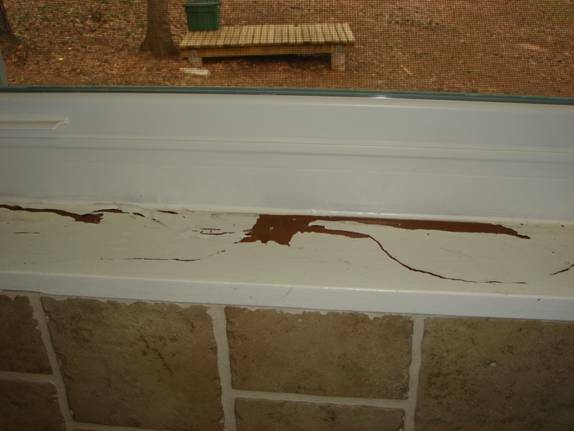 We were home with our 5-month old baby at the time, and the installers should have known better than to leave hazards like this with infants in the house. 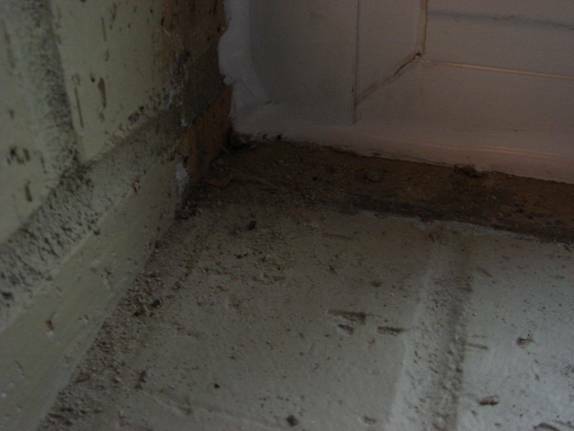 In fact, if we had known how much dust and damage would be produced, we would not have had our baby in the house during installation at all. 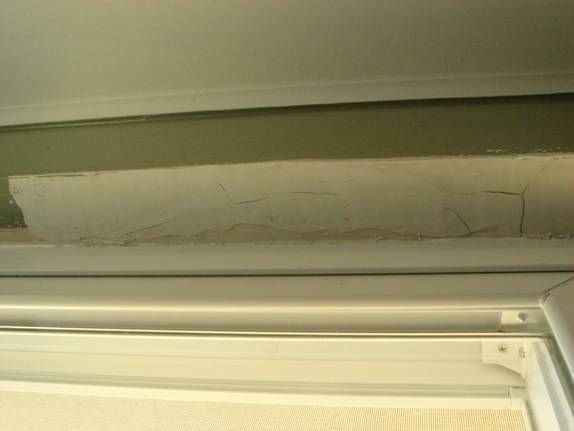 We specifically called the contractor before the installers arrived to ask if we should have the baby out of the house while they were working, and he assured us – once again – that there would not be enough dust to warrant it. 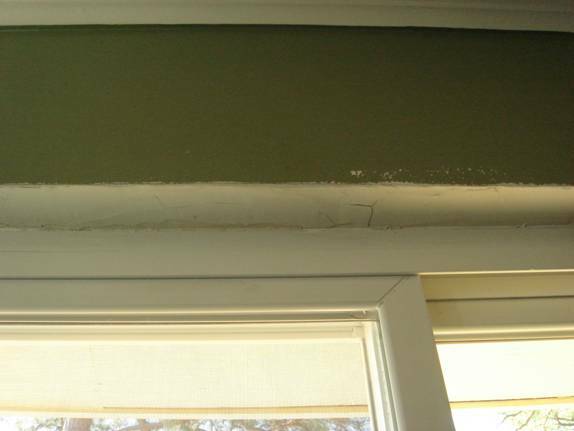 He specifically downplayed any danger of lead paint dust, which is a real possibility in our 1955-built home. 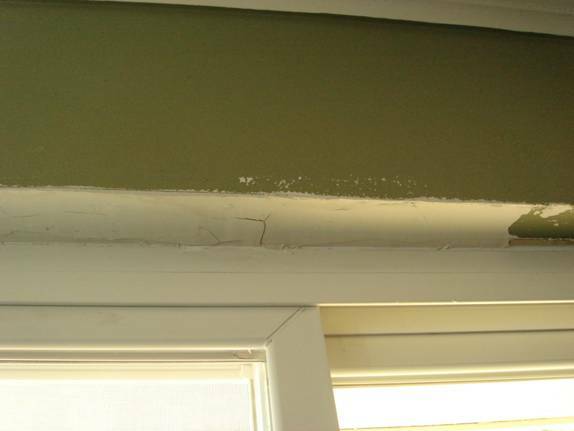 We are having our child tested for lead exposure at his next pediatrician’s visit. 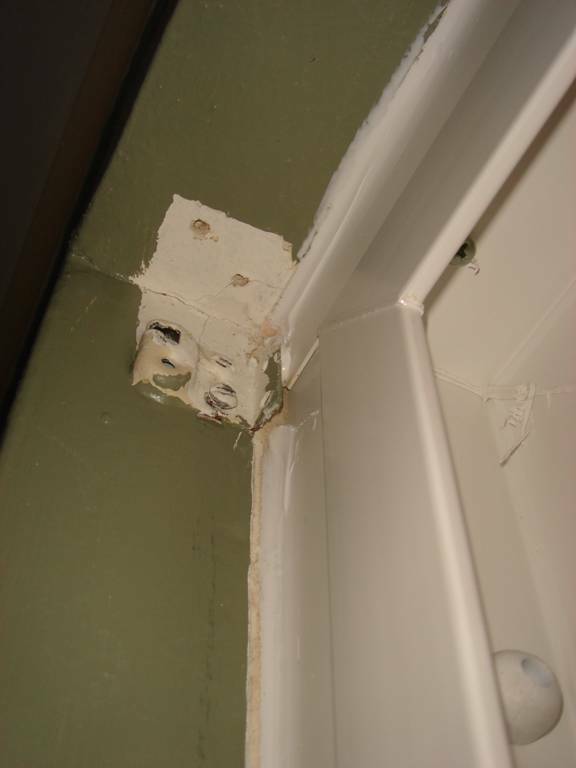 In the bedrooms, gaps had been left in the window drywall where the old window frames had been a bit thicker than the newly installed windows. 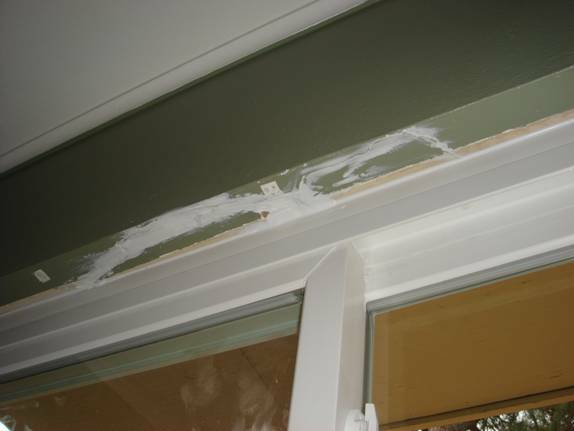 These gaps were left as-is, and we had to putty fill, sand and repaint them ourselves. 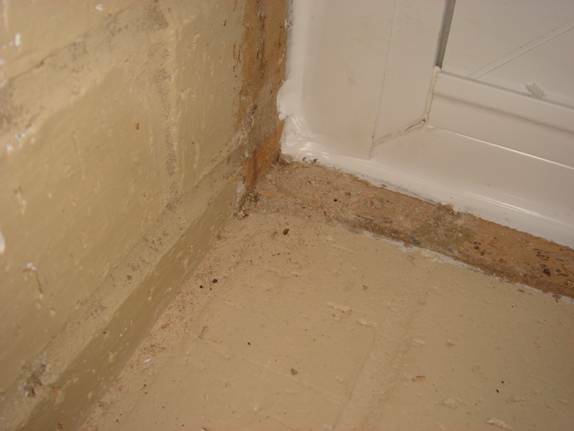 Further, they completely neglected to seal the interior of one of our basement windows, and obviously did no cleanup whatsoever in our basement, which was covered in concrete dust. If these installers were in fact ‘highly qualified’ and experienced, they would have recommended that we cover our electronics and computer equipment, but they made no mention of it whatsoever. 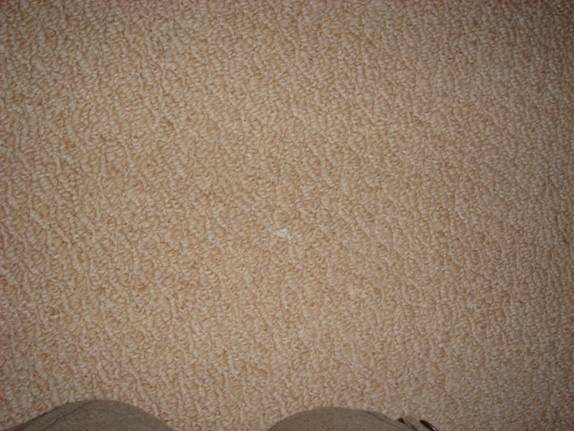 We had been led to believe that the process would be ‘very clean,’ which it certainly was not, and we consequently spent a lot of our own time cleaning up after them. 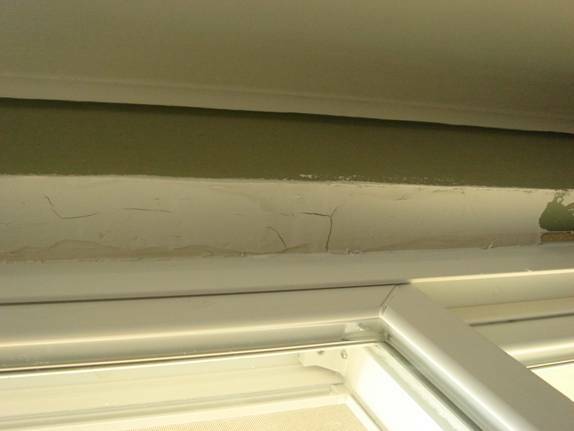 We asked about the repairs, and the installers said they would do "whatever it took" to address those whenever they returned with the one window that was the wrong size. 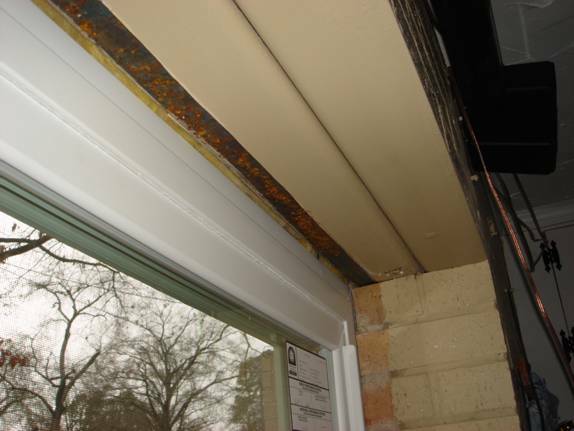 The installers returned to install the window that was the wrong size the first time. 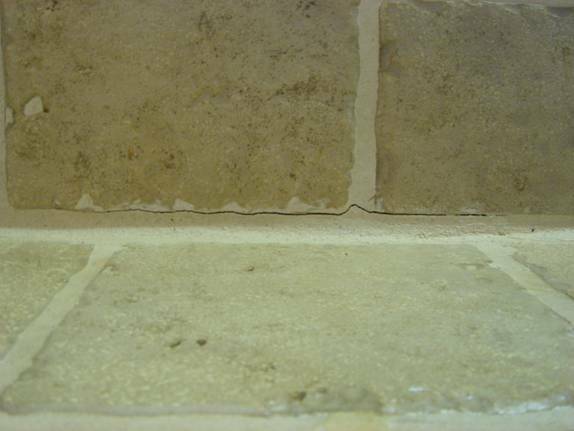 While they were there, they wanted to seal the cracks in our kitchen tile with white calk. 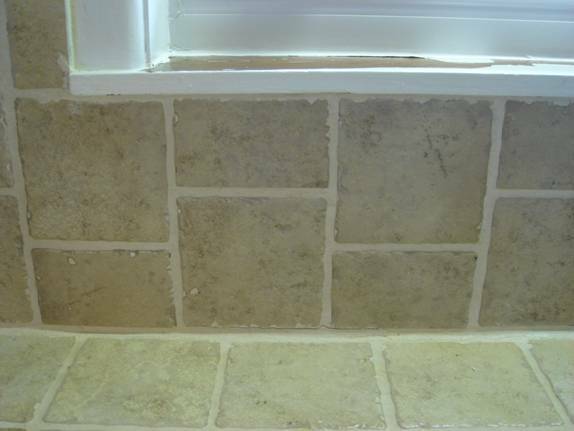 I told them I didn’t want white calk sealing our tiled kitchen counter tops, so the installers did nothing about it. 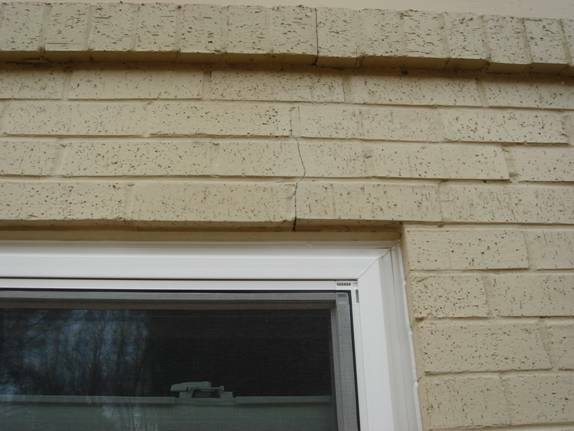 They also stated that there was "nothing they could do" about the chips and cracks in the brick surrounding the windows on the outside. 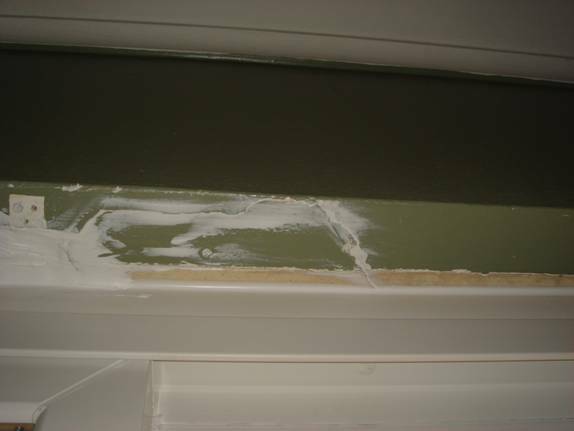 The section in the bedroom with the 4x10 hole cut out of the window sill had a layer of fresh plaster smeared over it, without removing the window caulk first. 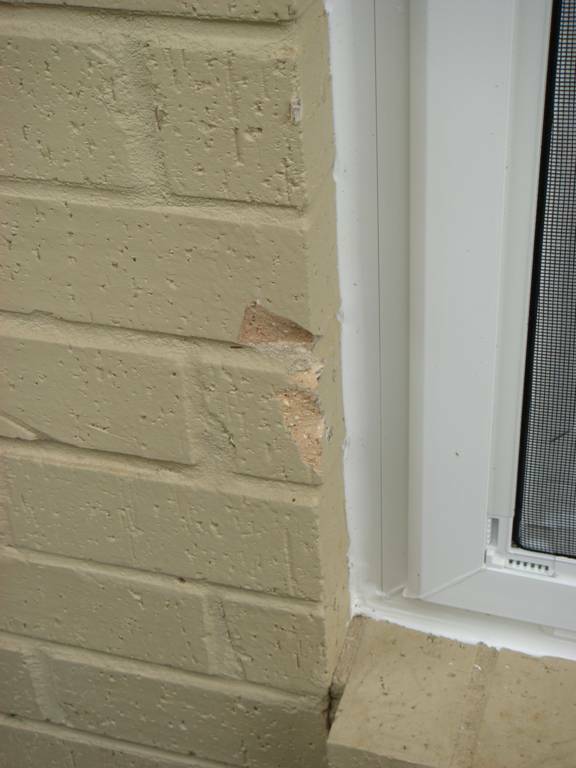 Of course, the plaster cracked where it did not adhere to the underlying caulk. 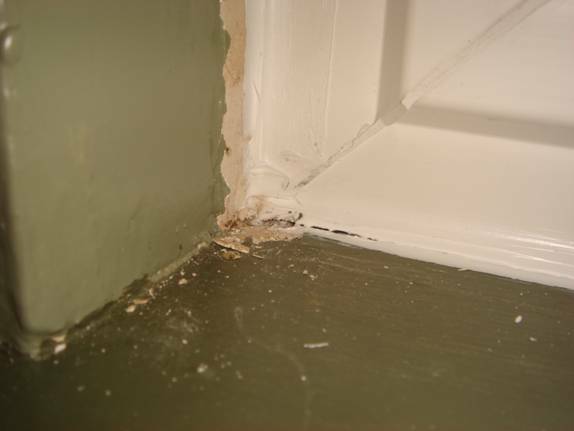 The area was not sanded, smoothed to the size of the surrounding area, or painted. 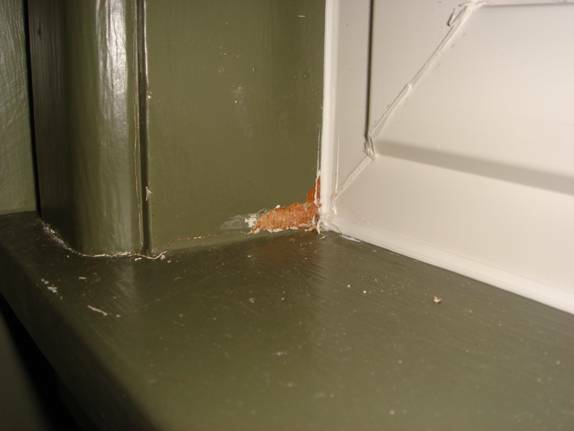 Some of the largest gouges in the window sills were filled with plaster. 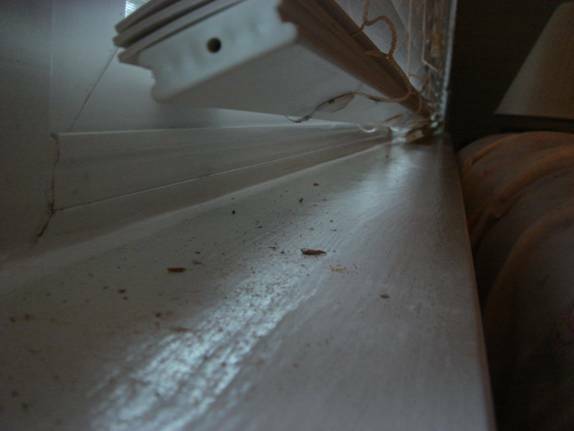 Nothing was done to address the remaining damaged window sills. 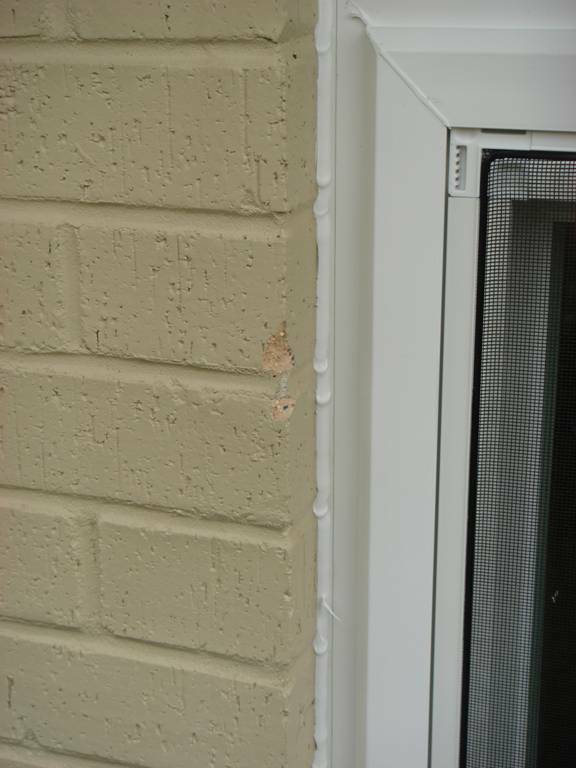 The window screen with the tear was replaced with another one that they made on site. 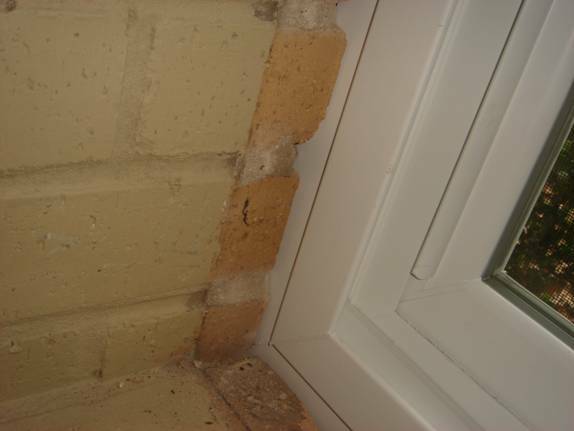 To that point, we were originally assured by Gary Miller (our salesman) that not only were the windows fitted with numerous security features, but also the screens themselves were not easily removed from the outside. We watched with surprise as the installer popped them off without any effort using no special tools. 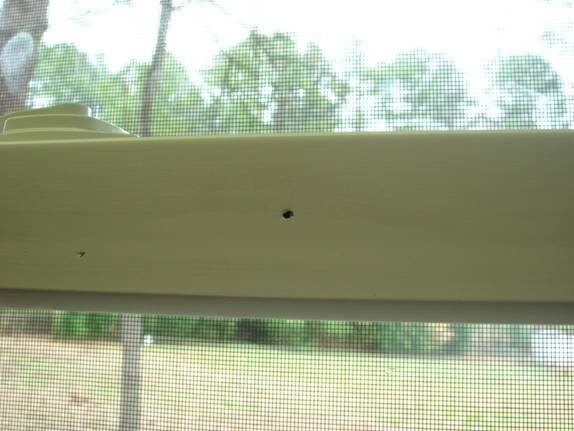 We pointed out a window in the kitchen with a hole in the frame, and the installers said they would have to put another one on order. 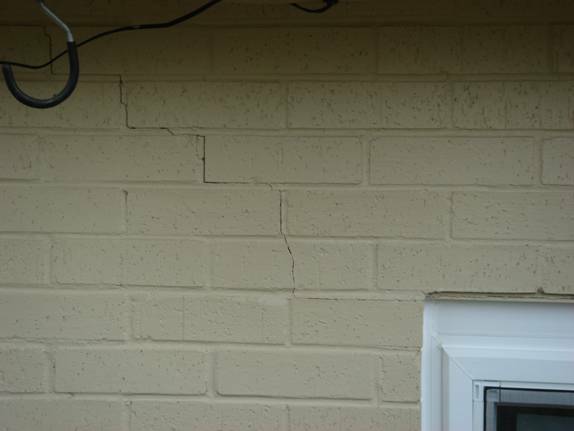 We called Sears to check on the status of the remaining repairs, and the person I spoke with referred me to someone named Tom. 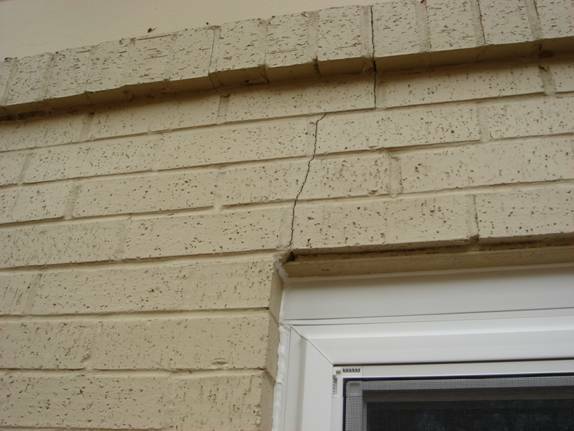 I called Tom, and he said he would have them do the repairs whenever they were scheduled to come through town again. 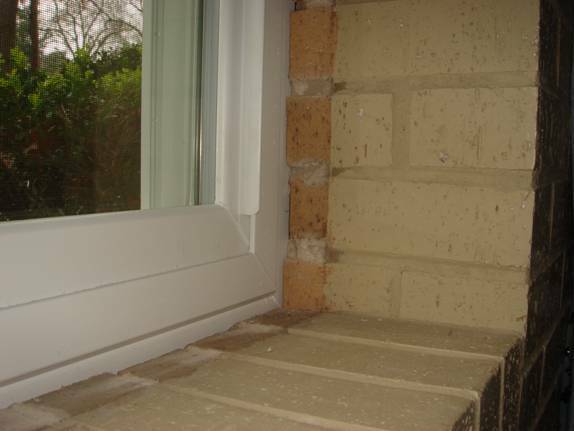 The installers returned several weeks later with the replacement window for the kitchen. 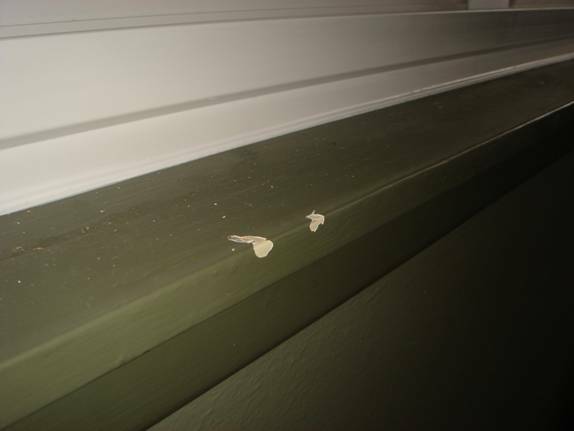 When we pointed out the problems with the bedroom window they had attempted to caulk and plaster over, the installer said he would need to go to Home Depot to get some drywall putty for the damaged area. We gave him detailed directions to Home Depot, but he returned instead with some putty he told us he had located at the dollar store. 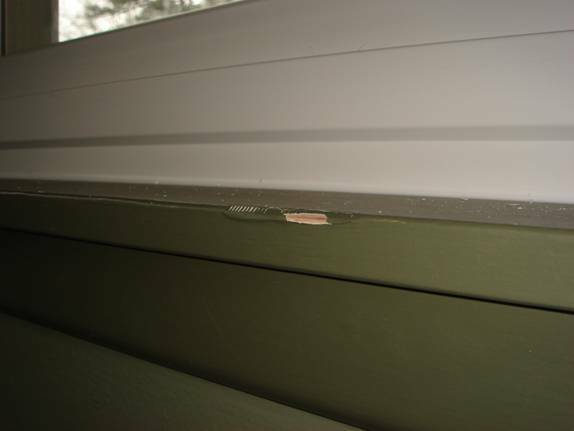 For a 22 thousand dollar job, the installers could have used good quality putty! 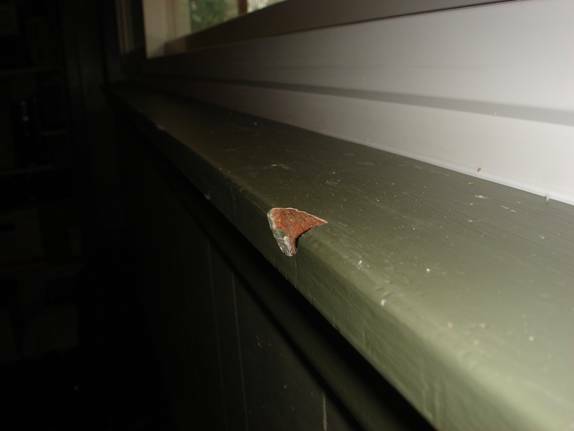 The sill with the large caulk patch job was repaired properly using the putty and sanded, but it was not painted. 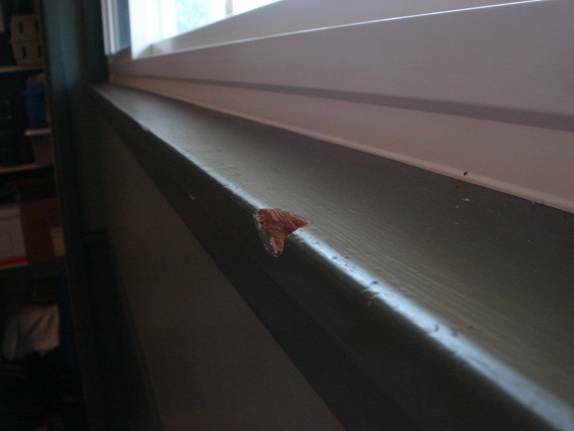 They also addressed the window sill with the next largest damage – a large gouge out of the wood in the center of the sill. 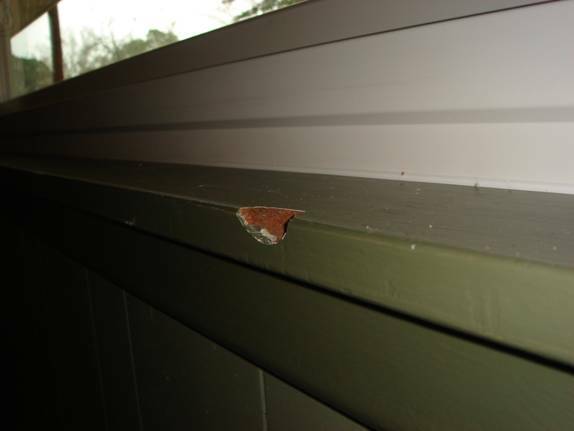 The installer stated that if he tore out the old sill, it would likely cause more damage to the house (which we knew would never be repaired properly), and he offered instead to nail a new board on top of the old one, which we allowed. 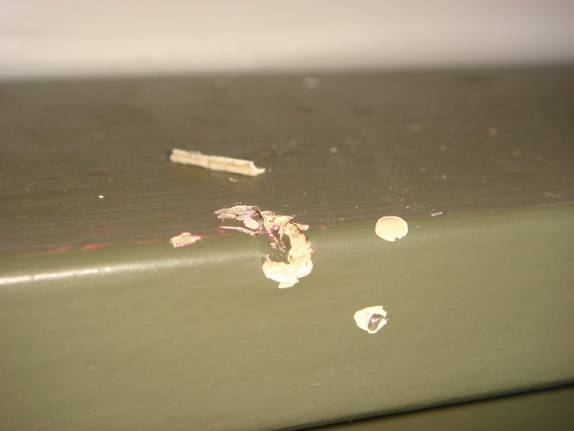 This sill was left as bare wood which we had to paint ourselves. 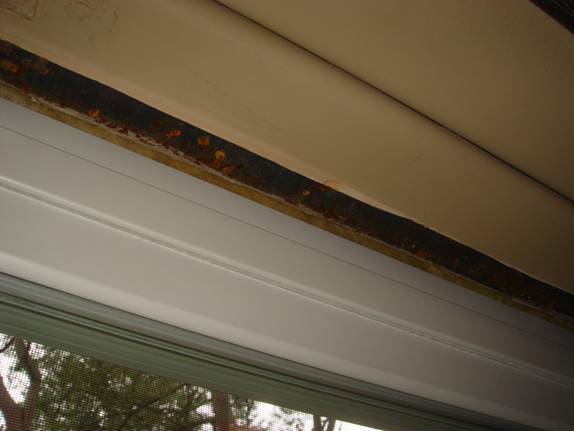 The installer was very concerned that we would leave them negative feedback, and offered to wash the dishes or clean the house for a good report. While we understand that some touching upu is necessary after such a large home improvement project, we should not have had to completely repaint many of the rooms that the installers left incomplete, pick up pieces of glass and chunks of debris from our floors before the baby gets them, or deal with shrapnel in our lawn and flower gardens. We have not heard anything else from them. 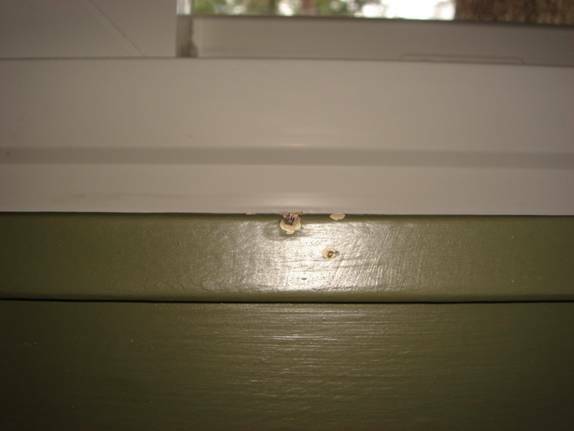 Most windows in our home are short and wide, so this translates to a lot of the viewing area being removed after the extra one-inch "allowance for fit" in the frames as described above. 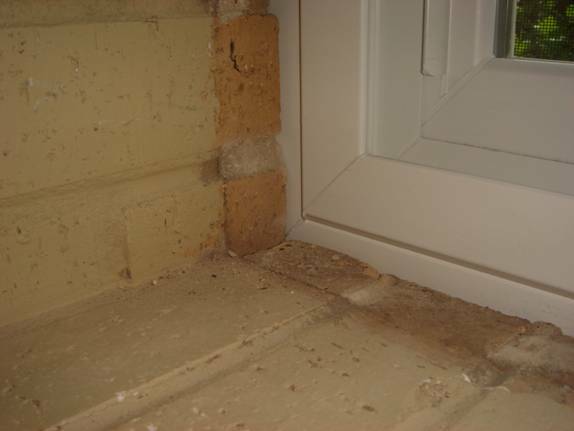 These windows also do not provide added energy efficiency, because nothing was placed in the frame gaps to provide insulation. 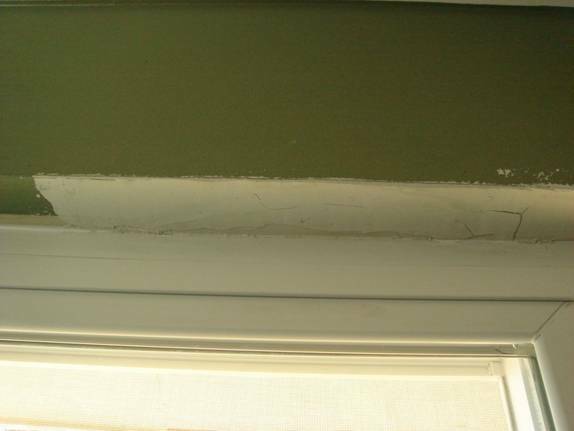 Gary Miller (salesman) promised us that we would no longer experience condensation on our windows as we did with our old aluminum frame ones, but in fact we have found more condensation on the new windows on cold days than before. Finally, our cooling bill is no less than it was last year. Overall, we feel that Sears is selling a bad product and coning people into buying their product based on their long-standing good history. We also resent the fact that the salesman made numerous false statements in his sales pitch. 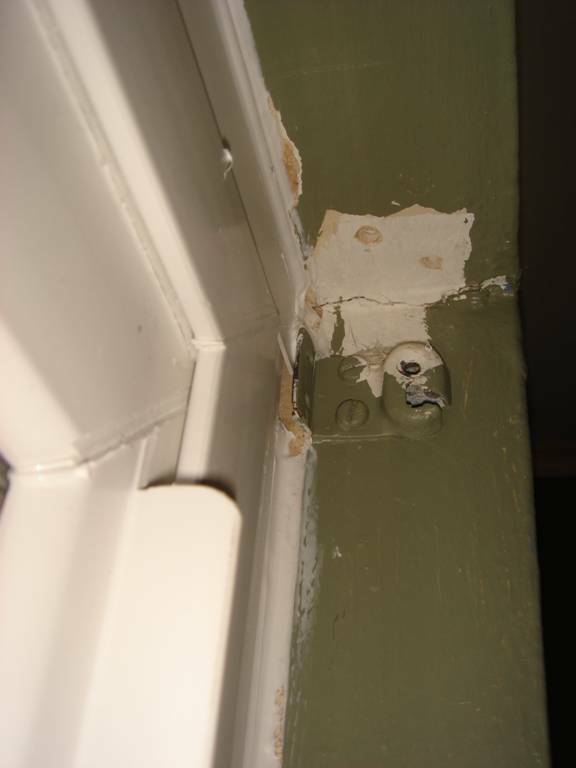 Our electric bill has not changed over the original windows that were installed when the house was built in 1955, proof of the poor installation. We will never use Sears again, and we will not use Sears/Craftsman products any longer nor partonize any Sears owned establishments (i.e. K-Mart). 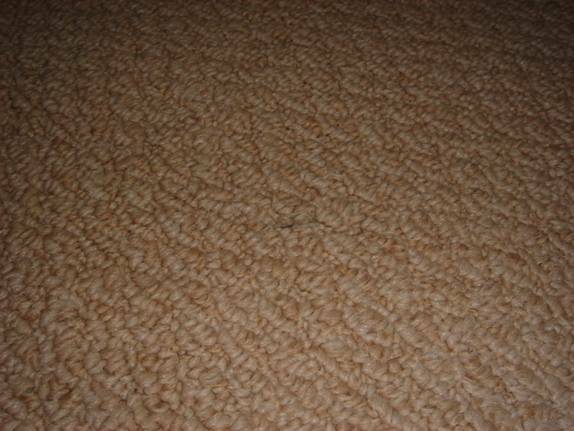 Further, we certainly would never recommend Sears to any of our friends or family for any home improvement projects. On the contrary, we will advise everyone we know to avoid Sears Home Improvement at all costs. 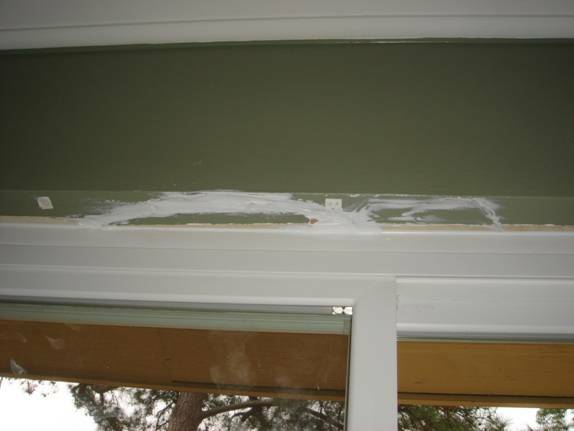 Attached: Several Pictures of the Damages.